CUSTOM PARTIES AT CIRCLE STUDIOS! Did you know we book aerial parties and art parties for private group classes, birthday parties or any special gathering?! 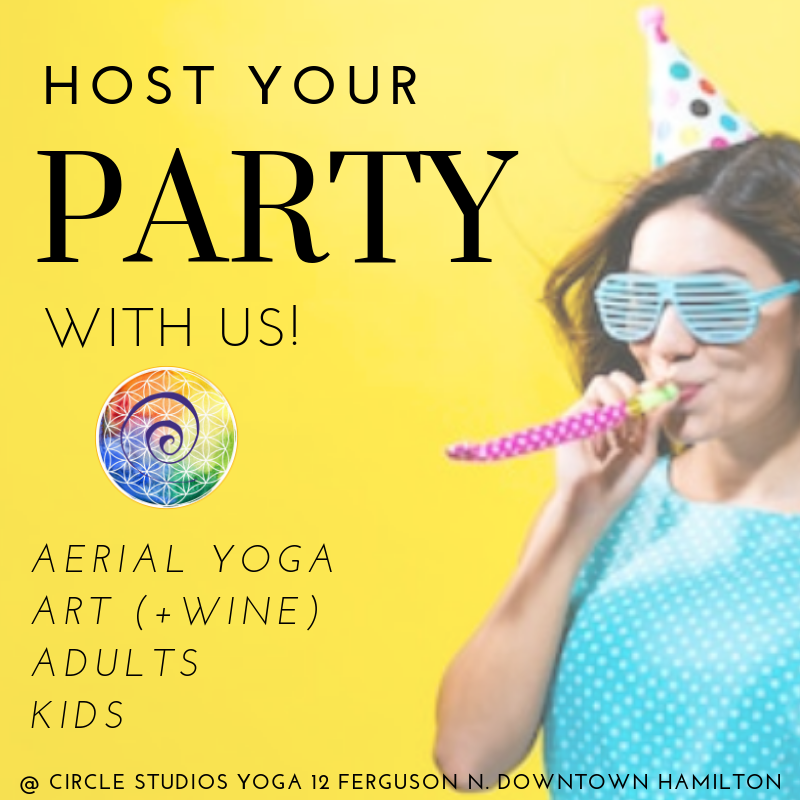 From wine + art, to aerial yoga followed by making unicorn horns + face painting- We can customize your party to any age and preference! Choose time in the Aerial Yoga Studio, Hot Yoga Studio, Creative Art Studio or celebrating with cake + snacks! Let us know what you imagine and we can make something unique for the occasion!